The numbers have been tallied, and more hedge funds closed in the fourth quarter of last year than at any time since the depths of the financial crisis. According to a new report from Hedge Fund Research (HFR), 305 hedge funds closed in the final three months of 2015, up from 203 the same time in 2014. That is the highest number of closures since the first quarter of 2009, in the aftermath of the banking crash through late 2008. 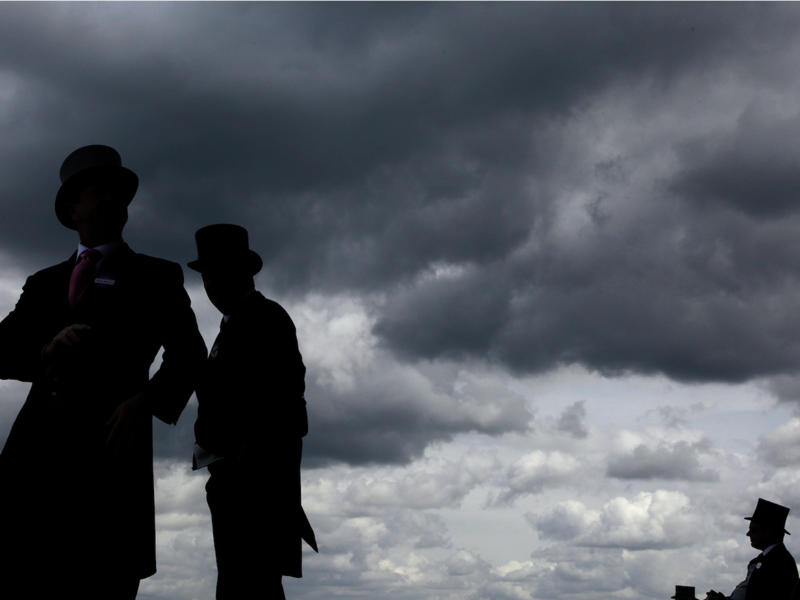 An estimated 979 hedge funds liquidated in 2015, up from 864 in 2014. 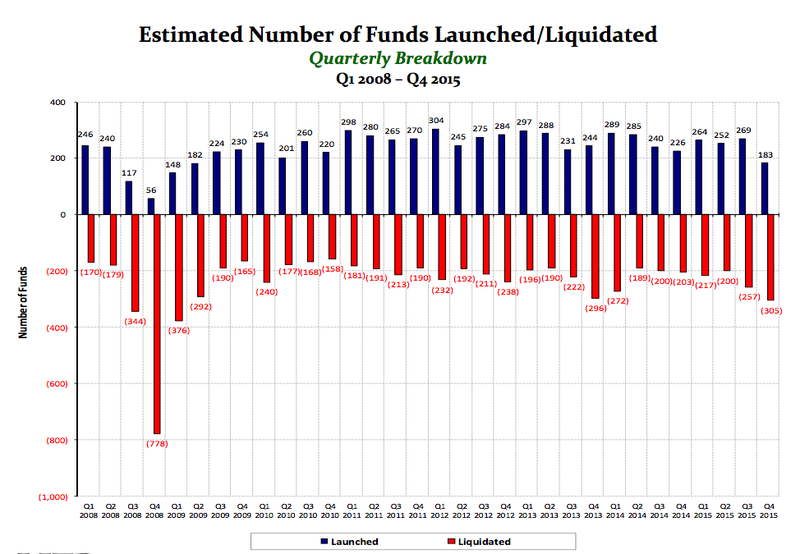 It's also the highest level since 2009, when 1,023 funds closed. New hedge fund launches in 2015 also declined, falling from 269 in the third quarter to only 183 in the fourth quarter, making it the lowest quarter since 2009. "The hedge fund industry experienced a contraction in number of funds in 2015, despite continued growth in investor capital to a record level, as investor risk aversion increased, resulting in capital redemptions from funds which had underperformed through the recent financial market volatility," Kenneth Heinz, president of HFR, said in a statement. Investors have become increasingly discriminating in their capital allocations, and the environment for launching a new fund continues to be extremely competitive. As investor tolerance for negative performance deviations falls, and the demand for a competitive fee structures increases, funds which meet these increased institutional investor requirements should attract capital and drive industry performance in 2016. Last year was a brutal year for the hedge fund industry, with the average company ending the year down 3.76%, according to data from HFR. There were numerous highly publicized fund closings and redemptions. There were also many that converted to so-called family offices, which manage the money of the fund manager, his or her family members, and the money of some of the company's key employees. There have been a number of reasons for poor performance, ranging from difficult trading conditions to concerns around global growth that have affected macro-fund managers. There was also the problem of crowded trades, with a number of the most popular stocks with hedge funds suffering through 2015.